Congratulations to "Denise R.", the winner in Janie's giveaway. Thank you to all who participated! Favorite = the one in the stores right now. Where in the world am I going with this? With my first couple of books, I said all the above things to my hubby (in between beating my head against my desk) and he very gently tried to help me work out plot points and chemistry issues and red herrings. He’s such a nice guy (and btw, it’s our 18th anniversary this weekend!). Me: This is the worst book I’ve ever written. Him: What are you, about 20,000 words (70-80 pages) into it? Him: With every book you write you say it’s bad at 20k words. Me: But this time is REALLY is the worst book ever. Him: You say that too. Honestly, if I wasn’t under contract with my publisher to submit the book a month or two later, I would probably quit right there and scrap it. But I am under contract (thank God) and so I must push forward to finish it. 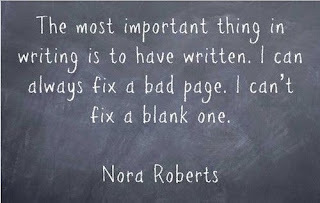 So, encouragement to all writers, whether published or not: keep writing through the hard sections, even when you feel your work might be the worst thing ever written. 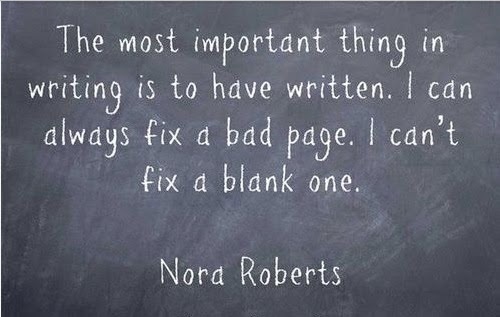 If you stop, you’ll never know what that manuscript could’ve been. I can’t guarantee which book of yours might sell, but I CAN guarantee which book won’t: the one that never gets finished. And as further encouragement, realize that you may not be the best judge of your own work. For example, the third book in the Omega Sector Series UNTRACEABLE (that releases this week!) was my least favorite of the four-book series. I thought it was terrible. Everybody else loved it. Go figure. RT (Romantic Times) Book Reviews Magazine even gave it a TOP PICK rating for June. So there you go, from worst book ever to TOP PICK. So if you’re feeling discouraged about your current WIP, just drop me a line on Twitter or Facebook and we’ll commiserate –AND GET THROUGH IT—together. Giveaway ends 11:59pm EST May 19th. Please supply your email in the post. You may use spaces or full text for security. (ex. jsmith at gmail dot com) If you do not wish to supply your email, or have trouble posting, please email maureen@justromanticsuspense.com with a subject title of JRS GIVEAWAY to be entered in the current giveaway. My "go to" for stress relief is a short walk outside (about 30 minutes) and then I eat chocolate. I figure that I have burned off the calories that I will consume in the chocolate before I even eat it. Just being outside and moving helps me to get rid of the negative stuff. When I have a bad day, I bake. Just let my mind rest, and create something with my hands. And if the baked goods has chocolate in it, even better. I'm coming to live with you, Anu. Just get ready. When I need a break, I like to be alone so I usually pick up a book. That way I am away from people who stress me and am with fictional friends who make me feel better. This is off topic but I wanted to say that I loved Infiltration so I can't wait to read Untraceable. Thanks for the wonderful compliment, Jo-Anne. Be sure to read COUNTERMEATURES (Book 2) also. 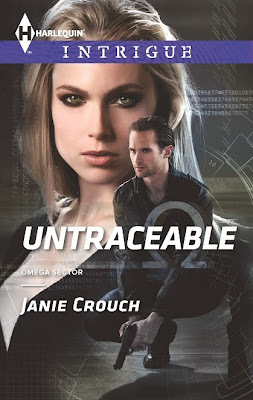 UNTRACEABLE is actually book 3. I take a shower or long bath and read to try to take my mind off things. If the weather is nice, I will go for a walk. Great post, thanks for sharing! Cleaning is the best stress reliever for me. OH MY GOODNESS, Natalija! That's so awesome!! It's like when a pregnant woman gets a craving for something healthy -- so unfair! Glad your house gets the benefit when you're stressed. My stress reducer... romance novels... I love the escape, the journeys, the HEAs! If I'm not stuffing my face full of comfort food (and gaining more weight in the process) I take a bath. I love my lavender bath salts and I use my fancy french lavender bath bar. Very relaxing and it smells so nice!! deniseb1997 at hotmail dot com. I'm so glad to hear someone else feels this way! I'm going through that now and wondering if I'll ever finish the book! Thank you. My ultimate stress reliever is working in my yard and garden. May sound strange but after being in a library setting for over 22 years, I just love to be outside. And because I was a librarian and love books and reading, my second choice is reading. There's something so relaxing about having your fingers in dirt, isn't there? I wish I had more time to garden. Going for a walk is a great destressor for me. Yes, always good. :) Thanks for dropping by Mary. Well, when I need to de-stress I get lost in Sherlock fanfic!! Thanks JEN!!!! :) And thanks for stopping by. Time alone is a most coveted treasure at our house. :) Thanks for stopping by. Feel free to check out my other contest in case you don't win this one: http://www.janiecrouch.com/#!contests/c8a0 by. Quiet alone time, usually reading!